As the respective referendum campaigns move into high gear in the final three months, big hitters from both sides of the debate are holding events in Fife. 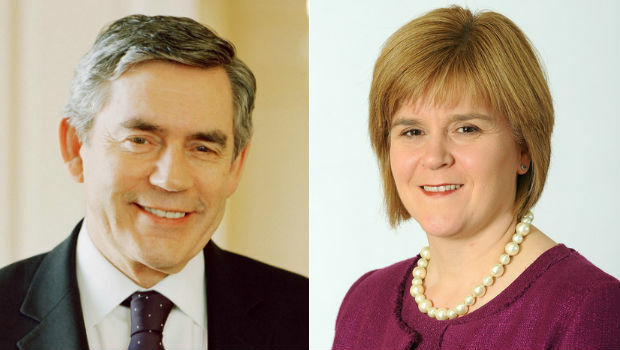 Former Prime Minister Gordon Brown is taking part in a Better Together event called “An Audience with Rory Bremner and Gordon Brown” at the Alhambra in Dunfermline on Tuesday 8 July, 7pm for 7.30pm. Tickets are free but are limited to four per person and are available by calling 01383 740 384, emailing: info@alhambradunfermline.com; or going in person to the Alhambra Box Office on Canmore Street, Dunfermline, KY12 7NX. It should be noted that this event is being billed as a Better Together “Local Group Launch Event”. Deputy First Minister Nicola Sturgeon will speak at an event in Dunfermline next week. The MSP is inviting undecided voters to come and ask questions ahead of the independence referendum. She will speak to an audience at the Glen Pavilion, Pittencrieff Park, Dunfermline, on Friday, July 4, from 6.30pm. The event is free, with no ticket required. Voters seeking answers to all manner of subjects including currency and the future of shipbuilding can have their questions answered directly by the Yes Scotland board member. The question and answer session is expected to run until 8.30pm with a social evening with music to follow.